Keystone Accountability believes that when everybody has a voice, and the leadership pays attention to what people are saying, this is the best possible form of management. 2016 has been the year of surprising referendum results. In June, 52% of UK citizens voted to leave the EU. This was followed the next day by an unprecedented number of google searches for “what is the EU“. 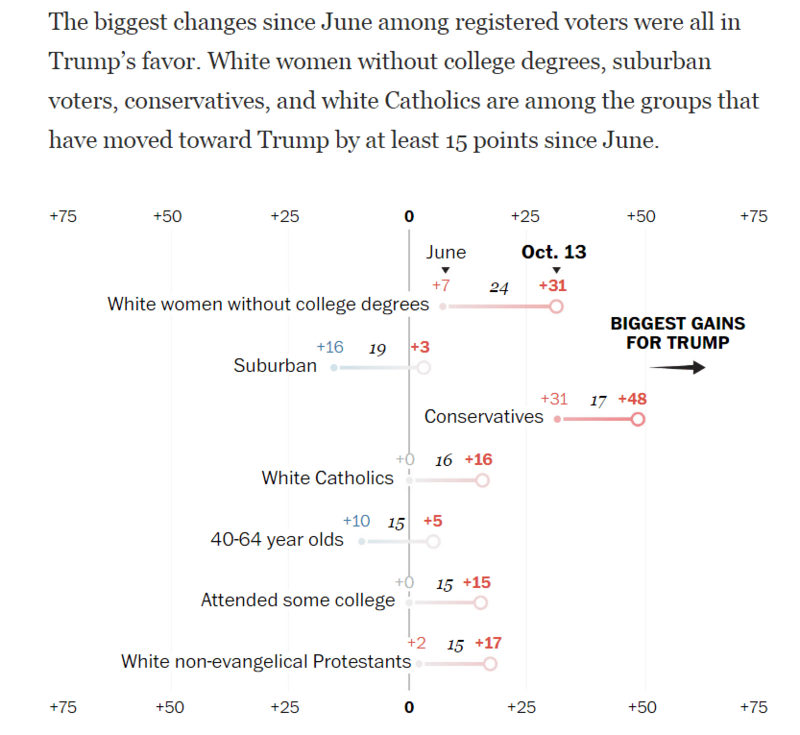 And in November, Donald Trump narrowly beat Hillary Clinton by winning a majority of votes among key demographics in key states, which was enough to win the presidency – despite winning 2 million fewer votes overall. There are many lessons one could draw from both these elections. The one that relates to the work we do is that asking a small selection of insiders what they think doesn’t yield the same result as asking everybody. 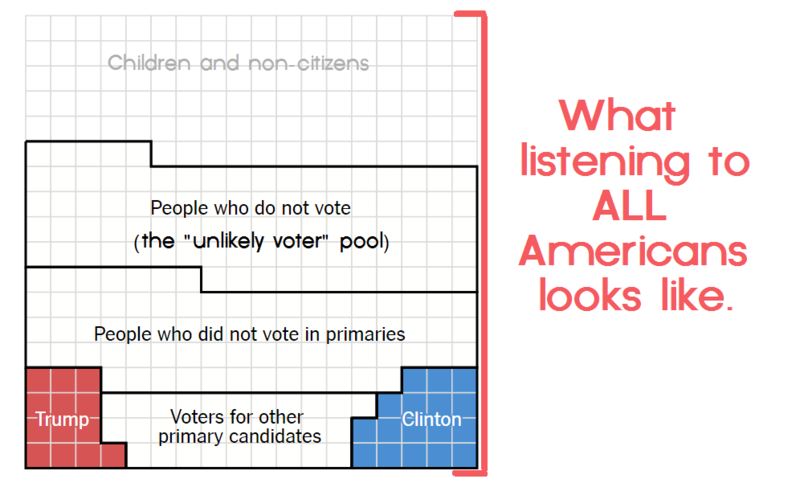 Careful, thoughtful, weekly sampling of “likely voters” is exactly what every political analyst was doing to come to the conclusion that Clinton was going to win in precisely the places she lost. Nate Silver (fivethirtyeight.com) runs one of the smartest sites about statistics anywhere. But even he missed it this time, despite calling it right four years ago when others predicted an Obama defeat. 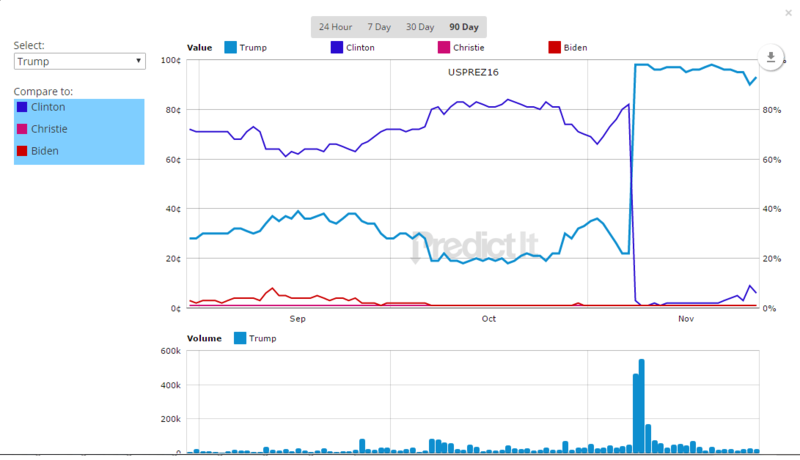 PredictIt also got it wrong, despite tens of thousands of people trading futures on this outcome, along with a million watchers commenting. The truth is, large sample sizes offer no protection against forming the wrong conclusion if one of our core assumptions is wrong. PredictIt is a prediction market where regular people buy and sell shares of a prediction that pays off in real money. The share price reflects the net demand for each outcome. Prediction markets have predicted every past US election before 2016. A 1% shift in the “likely voter” pool represents 2.5 million votes. Swapping 5% in and 5% out creates a discrepancy in 25 million of the 130 million votes cast (compared with polls of “likely voters”). Combine that polling measurement error with the two-party primary system where only 1 in 11 Americans voted FOR either Clinton or Trump, and you have a recipe for chaos. Ten out of 11 Americans chose neither Clinton or Trump in a primary. Only 6 out of 12 chose either Trump or Clinton in the general election. If we want our leaders were be truly motivated to listen to everybody, we need to transform the institutions that decide who runs, in addition to how they govern. We need to provide mechanisms to allow that public sentiment to be understood better than polling provides. We need feedback beyond a smattering of insiders. Radically inclusive feedback would include the 115,549,559 citizens who didn’t vote, the 3,242,614 citizens who are felons and deemed unworthy by our laws of having the right to vote, and include 11 million citizens who have no government-issued IDs and therefore face new obstacles in most states when trying to exercise their right. That’s what Keystone is about: operationalizing feedback loops. That’s why we built the Feedback Commons. Where politicians fail, organizations can succeed in listening to the people – all people – and focusing on what matters to them. Who knows? If politicians want to win, some might copy NGOs and discover the issues that are truly worth fighting for in politics. How do most marginalized people feel? How angry are they this year? And how sharp is the contrast between the “status quo” or “insider” candidate and the “change” or “outsider” candidate? If you go back back and look at every electoral map against these three questions, you may find that a mere 5% of the “silent half” of the country shows up to vote for change against the status quo in most elections – and this changes the outcome. By the way, those three questions are the kinds of issues our Constituent Voice™ method addresses. Explore the surveys you can build at feedbackcommons.org around relationship tracking and make sure you are listening to everyone. This entry was posted in Feedback Commons, Opinion and tagged 2016 Election, Feedback Commons, Feedback Loops, Listening, Trump. Bookmark the permalink.